The site is located on Village Farm Industrial Estate in Pyle, South Wales. The site is used as a storage yard for vehicles / trailers and recovered materials (old electrical transformers, wires, etc.). The client operates a recycling business. The client had been granted planning consent for the Phase 1 redevelopment of part of the site comprising the construction of a single storey office block and associated car parking area and for the Phase 2 redevelopment of the service yard to enable recycling to be undertaken at a later date. Earth Science Partnership [ESP] has been working with the client to enable the consolidation of a number of satellite operations into the Pyle Site. The previous occupants of the site had levelled the site / raised the levels of the site using made ground. The site levels were previously much lower in the south and west of the site. ESP had developed an overarching remediation strategy to satisfy the requirements of Bridgend County Borough Planning Department and Natural Resources Wales. The prime concerns of the regulators were the protection of human health and controlled waters (based on site investigative information and the historical use of the site as a scrap yard). ESP had previously identified predominantly hydrocarbon and metallic contamination within the soils and groundwater – the source contamination was localised within the made ground. Contaminated groundwater was shown to be migrating through the made ground in a south westerly direction – there was clearly an identified risk to the controlled water receptor located in close proximity to the site (the Afon Fach). Envirotreat proposed an integrated remediation strategy comprising source treatment by E-Clay Stabilisation in combination with the installation of an E-Clay Permeable Reactive Barrier to protect groundwater receptors. barrier was designed to intercept and treat the shallow contaminated groundwater within the made ground. 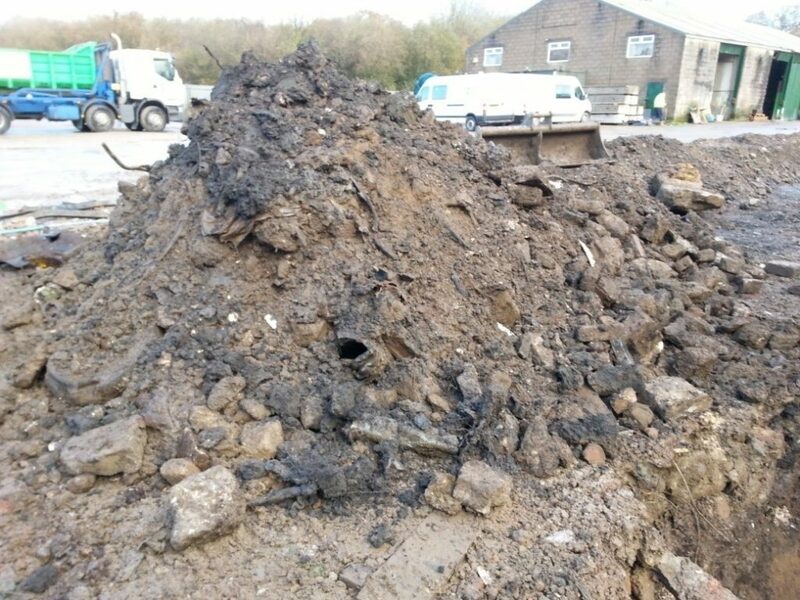 Contaminated soils and groundwater associated with the identified “hotspot” were excavated, treated, validated and reinstated. The remediation works implemented onsite met the environmental requirement of the the proposed strategy.